Welcome to the Affinity forums! Would you be able to attach a screenshot showing the difference in Sharpness and Resolution please? Also when comparing the difference in the areas are you comparing the just the High Frequency results, or that combined with Low Frequency? If you have any improvement suggestions feel free to post them in the iPad Feature Requests forum. I have a very similar problem. 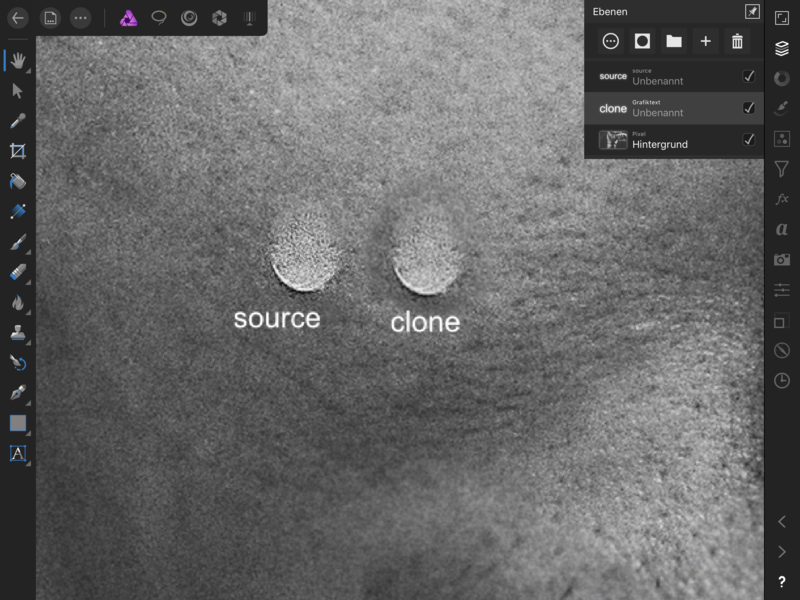 The clone area is always not as sharp as the source layer. I am as well, from what I've seen, these guys move swift. May take em awhile to fix it, there's several bugs on iPad version (I've never tried desktop) so don't know anything about it. What I can attest to, I've seen these guys release an update within a week of the initial release. Not saying you're complaining, but I'm sure they'll get to it. I'm having issues with crashing and the blurry (or not as accurate) clone stamp. *Cough* *cough* it’s 2019 and I still having these issues latest AP for an iPad. Can developers take a look at this again please. This is now possible, but you do have to ensure 'Force Pixel Alignment' is enabled in the Snapping dialog. The same is also true of the desktop, 'Force Pixel Alignment' has to be enabled on the toolbar.